Cold email has slowly evolved into one of the most effective marketing tactics available to salespeople today. Despite the controversy that surrounds them, cold emails can be a powerful lead generation tool for your business – if used correctly. In spite of their effectiveness, cold email can also be one of the most difficult sales strategies to master. The main problem here is that no one likes receiving emails from people they don’t know. So, marketers and salespeople have to come up with innovative ways to keep prospects from sending their cold emails straight to the trash folder. Unfortunately, it seems that many are losing this battle badly. Some agencies report a 20 to 50 percent response rate from their cold emails while others only manage to scrape by as little as 1.7 percent. This glaring difference is proof enough that something needs to be done – and fast! It also raises some pretty interesting questions. What makes for the best cold email? Which mistakes should you avoid when writing a cold email? And, most importantly, how can you get prospects to respond to your cold email? What about the Subject Line? Before diving into the details, the first base we need to cover is this: what is cold email? The easiest cold email meaning is an unsolicited email that you send to someone who doesn’t know you and without prior contact. Simply put, cold email is the modern-day equivalent of cold calling. Keep it real by avoiding the use of misleading cold email subject lines. Sure, this approach could drive more people into opening your emails but only in the short run. It will do more harm than good for your long-term sales and relationship building efforts. Never misrepresent who you are. The information on your email’s header should always be on the up and up. Also, make sure to include your full business address. Whether it’s a postal or physical address, you must add it to every email. The second option is preferable because it helps to keep your cold email more personal. More importantly, always honor any opt-outs. If a prospect clearly lets you know that they don’t want to receive any future emails, make sure that happens. Lastly, keep track of what others do on your behalf. This is especially important if you have contracted a third-party agency to take care of your cold email outreach. Even in that case, you will still be legally responsible for any actions that the agency takes. So it is always important to be on top of everything that is happening. With these rules in mind, we can now dive into how to write cold emails. Writing effective cold emails boils down to knowing your prospects so well that you are able to understand how they think and react. Sure, everyone is wired differently. But our brains tend to respond to mental triggers in the same way. 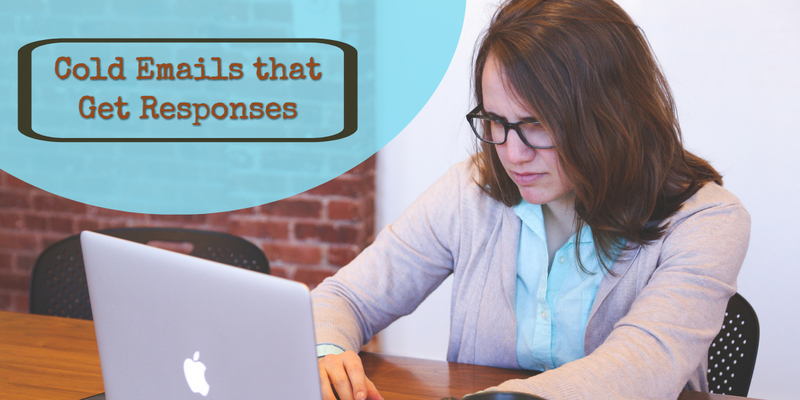 Understanding these triggers can help you find creative ways of convincing prospects to reply to your cold emails. The first step of any cold email outreach campaign should always be research. Luckily, there isn’t a wrong way to probe your prospects before you begin crafting your cold email. The main goal here is to find out more about their business, as well as understand their personal and professional interests. As long as you are making steps in this direction, you’re already on the right path. Today, the first step everyone takes after meeting a new person is “Googling” them. Why should it be any different here? A simple search on Google will give you a wealth of information on any prospect. But it is also important to stick to more reliable sources when compiling your info. Focus on the prospect’s job experience, recent activity, groups, and any shared connections. Take time to check out what the prospect writes on their personal blog or website, if available. You should also have a look at other sites that they read. Spend a couple of minutes on the prospect’s Twitter page to get a sense of their interests. Check out their tweets and any retweeted articles. It might be a good idea to check both their personal and company Twitter accounts. While many of the other channels are more professional-oriented, most people use Facebook as more of a personal social network. That means that it could give you some pretty impressive insights into your prospect. Just make sure that you don’t come off as stalker-ish when using this info in your cold email! Online resources such as Quora, Crunchbase, and Glassdoor are a great way to understand a community’s culture. Oddly enough, they can also help you narrow down a prospect’s needs and main challenges. When it comes to making decisions, people usually take their cues from others. So if a prospect sees that his former or current colleagues love your ideas, they will most likely jump on the bandwagon. This is just one aspect of social proof. It explains why dropping names of mutual connections and the prospect’s competitors will make your response rates skyrocket. A recent study shows that people are more likely to say yes to a request or do you a favor if you give them a good reason why. And in this fast-paced world, getting busy people to answer emails from people they don’t know certainly is a favor. In this case, the reason is your value proposition. What is in it for the prospect? How will they benefit from getting back to you? If you are able to explain this value clearly, then your chances of a reply will skyrocket. Also, it is more important to focus on the benefits of your service or product, instead of the features. In the initial messages, prospects are more concerned about how you can help them solve a business challenge or pain point. Gear your cold emails to selling your strengths and you will definitely see higher response rates. Throwing in a couple of carefully chosen statistics and data can help make your cold email more credible and trustworthy. This is especially important when you’re dealing with skeptical or indecisive prospects, giving them the push they need to engage with your further. Using numbers in the subject line and email text is another great way to drive up your open rates. Writing these numbers out as numerals (such as 1 instead of one, for example) is a very effective way of drawing in a prospect’s wandering eye. This tactic can make it easier for your cold email to stand out in a crowded inbox. But there is also a psychological twist to it. When it comes to cold email marketing, three is the magic number. For example, the mind likes to be given three options, but four choices or more can make prospects skeptical or confused. You can also use this rule of threes when breaking down your cold email into paragraphs, suggesting meeting times, or choosing adjectives that describe your service or product. Seeing your name activates a certain part of your brain that is linked to your identity and self-perception. This could explain why prospects will be more trusting of and engaged with messages where their name appears. All this shows is that personalization should be one of the main cornerstones of your outreach campaign. Researching the prospect is a great way to start this off, but keep in mind that the little things count too. Throwing in a simple but genuine “ thank you” will also help a lot. Sometimes, you are able to start a meaningful back and forth conversation with a prospect over a period of time, and then they go silent. They don’t reply to your messages or return your calls – nothing. What should your next move be? You use humor to draw them in. Using something funny when writing a cold email is proven to help the prospect relax and more likely to comply. It can even help you negotiate higher amounts when closing the deal. Humor is the best weapon you can use to break down any objections and win over unfriendly prospects. At the end of the day, you won’t land that meeting or close any sales by being vague. Research shows that prospects will be more willing to respond and engage if your email is easy to read and answer. It also helps if you give them clear directions on what to do next. So stop ending your cold emails with vague statements or open-ended questions, which can only do more harm than good for your campaign. Instead, give prospects a clear call to action. This will save prospects time and energy, making it easier for them to reply to your message. The heart of any effective cold email is brevity. Studies have found that shorter emails lead to faster response times, higher open and response rates, and greater engagement with prospects. Keeping cold emails short is a great way to make a positive first impression. It shows the prospect that you don’t want to waste their time. Using the bulleted lists, numbers, and even the right spacing shows that you want to make the message easy to take in and act on. The consideration shown by this approach will make prospects more willing to hear you out. A cold email subject line can make or break your outreach efforts. It is one of the first things the prospect sees about your message, so many use this to decide whether or not to open the email. Because of that, learning how to write cold email subject lines is one of the best moves you can make before you start any cold email marketing program. If you’re wondering how to title a cold email, there are certain rules to follow. You have to make sure that your subject lines provide a clear hint of what the prospect can expect in the email body. Also, never use a misleading email title as this move will do nothing to earn you the prospect’s goodwill to close the sale. Another thing to remember is that subject lines should tie into your value proposition. Whether you use clever subject lines or catchy ones, make sure that your email titles are relevant to the prospect. To do this, you could ask questions, refer to a recent trigger event, boost the prospect’s ego, or use any common ground as leverage. This is the only way to ensure that prospects are driven to open and read your cold emails. Experienced marketers and salespeople know that cold emailing can be a tricky process, especially if you’re working with the wrong format. When sending a cold email, the ultimate goal is to get a response and hopefully close the deal. It might seem like an impossible task, but you can get this done by using the right cold email template for your situation. With the right tools, you can turn ice cold prospects into warm – and very promising – leads. Master the art of writing short but effective subject lines, which are never longer than 50 characters. Maintain a casual, approachable tone while still getting your message across. Make sure that your call to action is brief but specific. This will only make it more powerful and effective. Start off with a small ask to make it easier for the prospect to say yes. Keep in mind that the process is not about you. Create dialogue and ask relevant questions to draw the prospect in and encourage them to reply. Personalize your cold email enough that the prospect is compelled to continue the conversation. Most important, always be patient, humble, and helpful. No one will give you the time of day is you come across as annoying, entitled, or pushy. Cold emailing is one of the most effective tools for networking and meeting new people who could sway the course of your career. The right cold email can help you land your dream job or internship. I found your post for (mention job title) on (mention specific website/job board). Because of this, I’d love to share with you the plan/strategy/other deliverables that I drafted for (name of prospect’s company). With a solid background in (highlight relevant skills), I’m looking forward to helping (name of prospect’s company) achieve even greater things in the (mention specific) industry. Are you available for a quick X-minute chat on (specific date and time)? If not, just let me know how your schedule looks like for the next week. I’m (your name), the current (your job title) at (name of your current company). I’m reaching out because (highlight your reasons). I’d love to learn more about (mention one or two specific things). I’m sure you’re very busy, so I would appreciate even 30 minutes of your time. I’m (your name), the (your job title) from (name of your company). I’ve followed your blog/website/social media channels for a while now, and I love your work/insights! I think you’re making incredible waves in the (mention specific) industry. That’s why I decided to reach out to you. (Name of your company) is a (highlight your key products/services). We help companies/thought leaders like yours/you (one sentence pitch). If you’re interested to learn more, can we schedule a quick 10-minute call on (mention specific date and time)? I just came across your posting for (mention job role/title) on (mention specific website/job board). As a freelance web designer, this seems like the perfect fit for me. Please feel free to check out some of my recent projects, testimonials, and case studies on my online portfolio here: [insert relevant URL]. If you would like to see a no-obligation proposal or have any other questions, I’d be happy to help. Many people usually have lots of questions when it comes to cold email follow up. How long should you wait before sending a follow up email? How many should you send? And, when should you stop following up? If the prospect hasn’t replied to your first email after 48 hours, then follow up. We also recommend that you send up to eight follow up emails. It might seem a bit excessive, but more than 30 percent of replies usually come between the fifth and eighth follow up emails. So if you’re doing less, you might be missing out on a ton of promising new leads. The trick is to time your follow up emails well enough to avoid overwhelming or annoying the prospect. Just thought I’d follow up to see if you’re still interested in working with (name of your company) on the (mention specific) project. If so, I have a few ideas that I thought would work well for this. In case you have any questions or concerns, just shoot me an email and I’d be happy to address them. When you’re running a massive and involving email marketing campaign, using the right cold email software can help you do so more effectively. Such software can make the whole process easier, more productive, and ensure that it takes less time. That said, RooJet is the best option for you. It can help you find the email address for any prospect, add them to your campaign easily, automate your follow up efforts, give you useful analytics that will help you create a stronger campaign. RooJet is the best tool for those who want to grow their business by reaching tons of new customers in a short time. With every new year, it becomes more and more clear that cold emailing is a numbers game and only the most informed will win. It is important to change your approach in 2018 to reap all the benefits that increased open and response rates – and the resulting high sales figures – will bring you. Writing great cold emails is a skill that you can learn, but it certainly boils down to time and experience. As long as you personalize your cold emails, grab the prospect’s attention, and use the right cold email tools to your advantage, you will find yourself crafting winning cold emails in no time.